If You Push Hard Nonstop, You Will Not Become Superhuman. You Will Burn Out. When Charles Scott became an adventurer, he didn’t want to leave his children. On the open road, Scott puts his kids on smaller bikes that attach to his own bike but that are not on the same chain. That way, the kids don’t have to pedal at the same speed. In his 14 year career as a venture capitalist at Intel, Charles Scott closed a series of noteworthy deals, including an investment in Atlanta-based JouleX, which was later acquired by Cisco, and Enjoyor, a China-based company that had a successful IPO in China. In 2011, he quit what was a successful corporate life that he enjoyed to be a professional adventurer. Both careers require a fairly aggressive commitment to hard work. The secret to sustaining such elevated levels of effort, Scott has learned, is taking time off. The most common running-rookie mistake is overtraining, he says, speaking to a roomful of attendees at the 3686 South entrepreneurship conference in Nashville last week. He knows a thing or two about running from personal experience. He’s run many thousands of miles, including more than 20 marathons, six Ironman Triathlons and other ultra marathons. 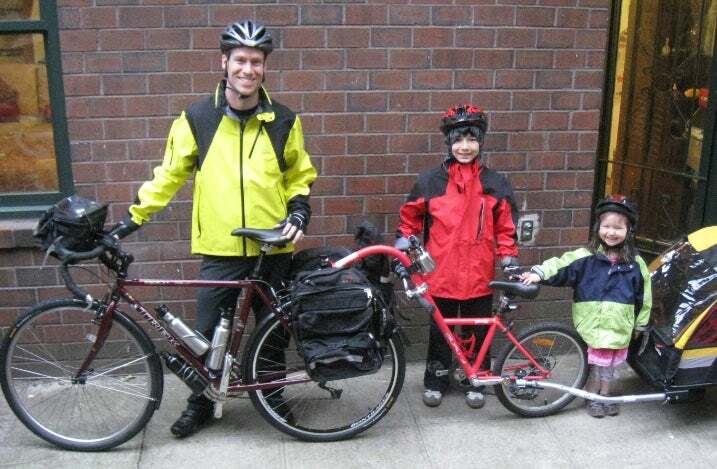 Together, Scott and his two children -- his son, Sho, is now 15, and his daughter, Saya, is now 9 -- have cycled more than 7,000 miles across Japan, Iceland, Europe and the United States. Here they are out in front of their apartment in New York City. The 48 year old is also an avid fan of Mebrahtom "Meb" Keflezighi, an elite runner who has medaled in the Olympics and won both the New York City and Boston Marathons, the latter of which he won in 2014 at the ripe old age of 38. After earning the Boston Marathon medal, Keflezighi talked long about his hard work, but he also talked about his committment to rest and recovery. Scott noticed. He started to recognize a dichotomy: the physical necessity of the human body to rest is largely understood and honored in the elite athletics world, but it’s categorically undermined in the American corporate world. Scott works to get CEOs to talk about the importance of rest and recovery. Two weeks ago, he spoke at Uber. The way to get CEOs and entrepreneurs to think about rest, he says, is to educate them that it is the key to increased productivity. He also encourages those CEOs and leaders to have the conversation with their teams about the importance of rest and recovery. Scott writes about his adventures and travels around the world speaking to CEOs about how to get their teams to perform optimally. He has a blog, and he has published two books, Rising Son: A Father and Son’s Bike Adventure across Japan (CreateSpace Independent Publishing Platform, December 2012) and Daunted Courage: A Family's Bicycle Adventure on the Lewis & Clark Trail (CreateSpace Independent Publishing Platform, October 2015). 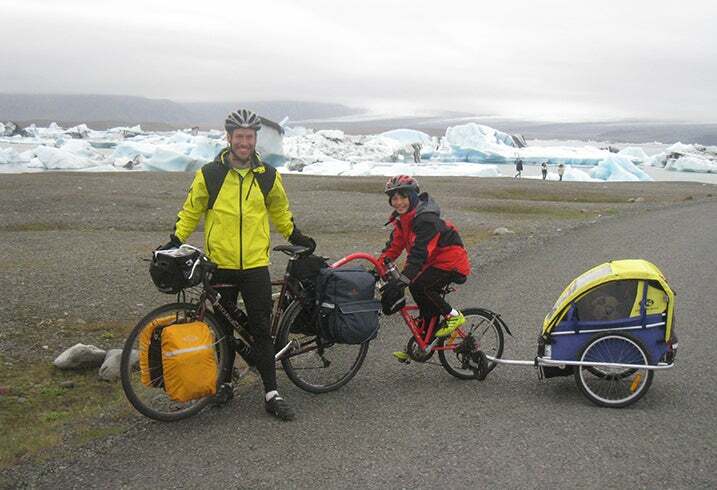 Here, Scott and his children are biking in Iceland. In the same way that marathon runners take time off to let their muscles recover, so, too should people take breaks during their workday. Breaking your day, week, year and even entire career into periods of intense focus alternated with intense rest will lead to maximum productivity. Also, breaks allow creativity. Grinding away makes for exhausted brains that don’t have the space or energy for creativity. Scott also suggests that everyone should take a 15-minute nap after lunch. “If you care mostly about optimal performance, you would nap after lunch,” he says. I'll talk to my boss says about that one!